Filipino culture is by nature, colorful. From small gatherings and occasions like local barangay fiestas to the full-on, humongous, and production-value festivals the many of our provinces hold, there is the undeniable and irrefutable stamp of Filipino creativity and ingenuity. But when you think about it, many of our local festivals that have been part of our culture for decades stem from our Catholic heritage and our Spanish colonization that lasted for more than 300 years. 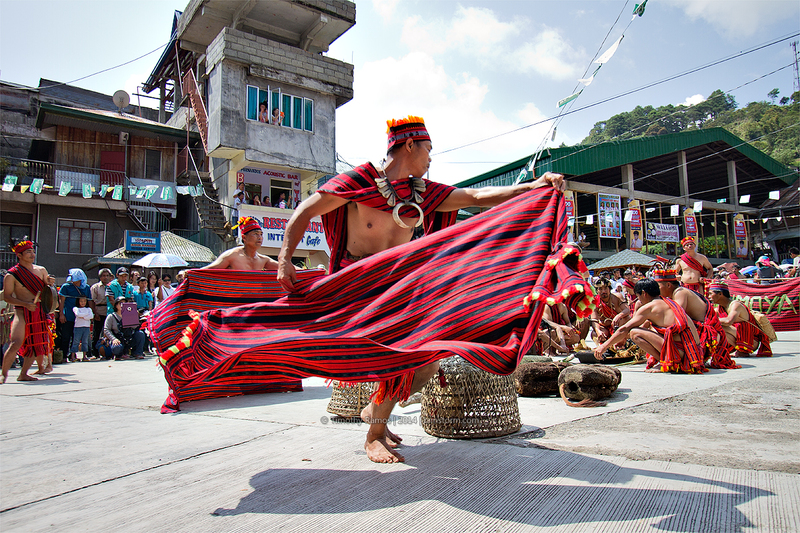 This is where the Imbayah Festival in Banaue, Ifugao sets itself apart. 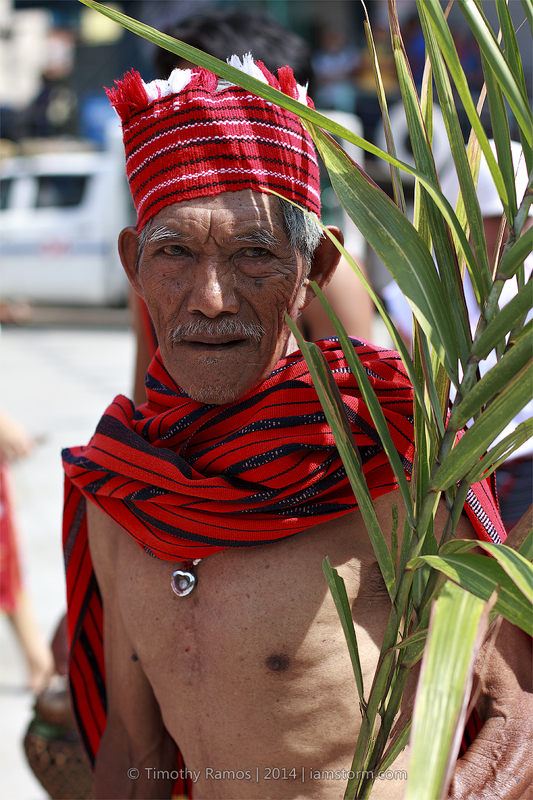 Imbayah is a festival that celebrates local Ifugao cultural traditions, such as the thanksgiving for a bountiful harvest. It’s also interesting to note that the name of the festival itself is derived from the Ifugao word for rice wine, bayah. Perhaps our penchant for calling out “Inuman na!” during special occasions has far deeper cultural roots than we realize. Traditionally though, Imbayah was about the rising of status in the community and the more affluent members of society hosted the celebrations in their respective homes. 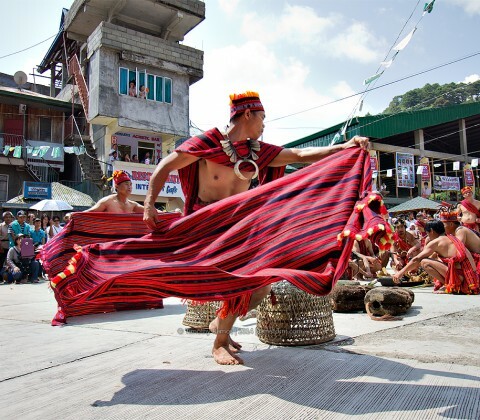 In recent years though, it has been more of a celebration and means to remember Ifugao culture in general — while it has still a lot of ways to go in terms of tourist spectators, especially compared to the larger celebrations in other provinces, more and more people have braved the twisting mountain roads to catch a glimpse of this truly unique festival. In fact, Imbayah used to be held only once every three years, but has become very successful that it is now a yearly occurrence. 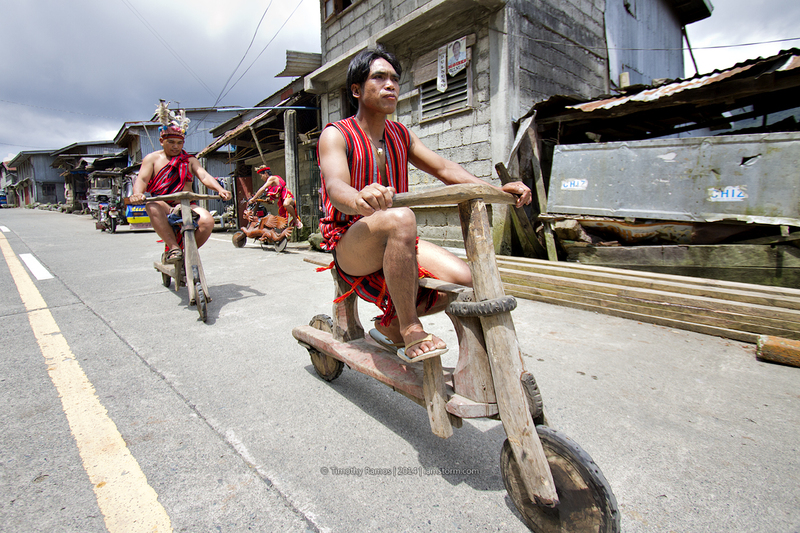 Contingents from Banaue’s 18 different villages converge in the town proper, terraces, bringing with them their own tribal symbols. They dance, they compete in ethnic games, not so much as performances or shows for visitors — although visitors are most welcome — but as more of a remembrance of where they came from and what makes them unique as a people. In fact, a number of the competitive sports played in the ethnic games were used to settle disputes between tribes. 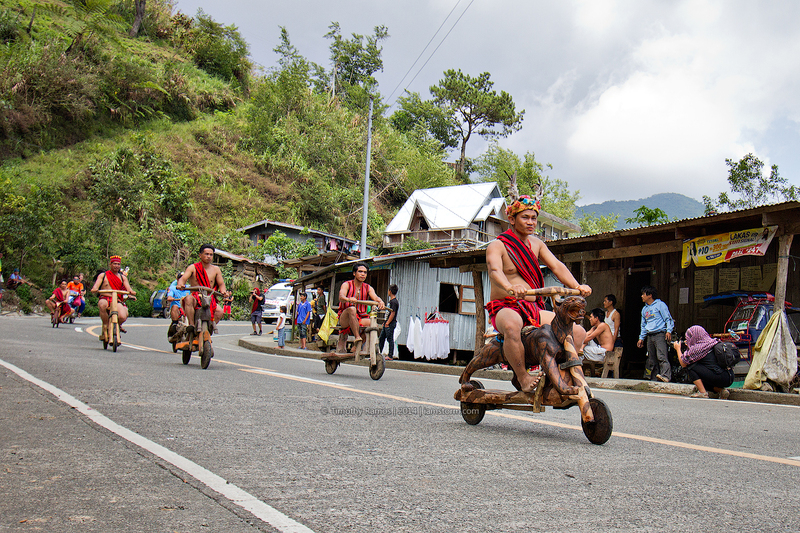 Another popular event of the festival is the wooden scooter race, where participants zip down the mountain roads from of one of the highest viewpoints of the rice terraces down to the Banaue town proper. These scooters have no motors whatsoever, with the racers relying on their deft maneuvering and the craftsmanship of their bikes to get ahead. 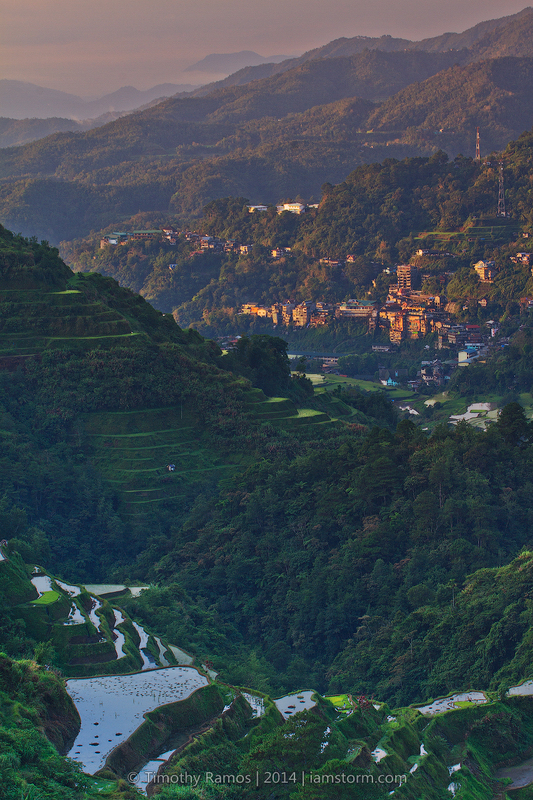 There are also several opportunities to further appreciate mountain culture — there are organized treks through the famed rice terraces themselves that visitors can take, or for the more adventurous, a trek to the village of Batad where even more majestic rice terraces await, and below them, the raging but beautiful Tappiya waterfalls. It may lack the pomp and splendor of other festivals, but there is something profound about the Imbayah; it’s more than the top-load traveling, or the unique food (ants and kamote, anyone? ), the strapping fellows in tribal g-strings, or even the ingenuity and persistence behind the beautiful rice terraces. 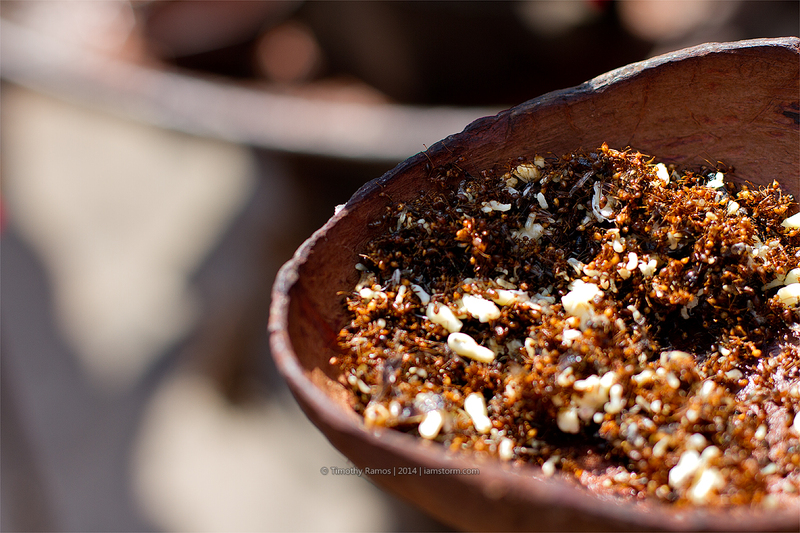 It’s something pure, something largely untouched by our colonial history, something inherently and uniquely Filipino. Getting there: You may opt for a side trip to Baguio City first and then catch a bus to Banaue, or take a bus straight from Manila to Banaue. This year’s festival is on April 18-22. 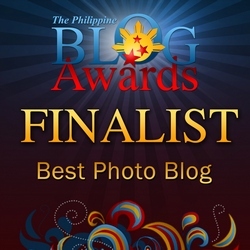 *This post was originally published in the April 2016 issue of the Filipino-Japanese Journal.